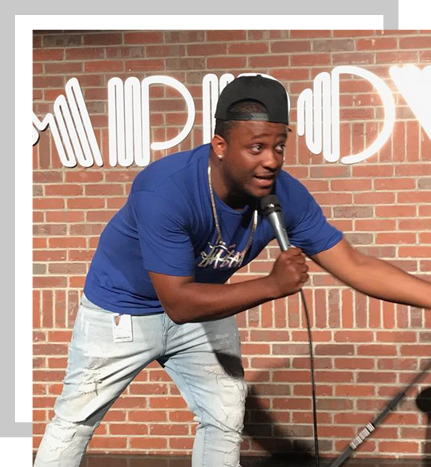 Matt Richards is a trained actor, comedian, and writer that has performed on several thousands of shows all across the country. Matt was selected as a NEW FACE Character2018 for the prestigious Just For Laughs Festival in Montreal and was a standout in the 2017 CBS Diversity Showcase. You can see Matt on CBS’ 2 Broke Girls, Nickelodeon’s School of Rock, as well as KC Undercover and Bizaardvark for Disney. Matt is the VO host for the pop culture gameshow Trivial Takedown for FUSE, and has written for the past two seasons of Jokers Wild starring Snoop Dogg on TBS. Matt is currently the newest comic to join the HQ Trivia team of hosts- catch him on a iphone near you! © Matt Richards. All rights reserved.